One of the perks of working for a bicycle carrier company is the opportunity to be right in the action at some very exciting bike races and events. From watching cyclecross at the Sea Otter Classic to downhill at Crankworx, we’ve been witness to some pretty amazing feats in the cycling community. This summer, with the bike rack displayed at the expo, we were in Leadville waiting to see a) whether anyone could beat Lance’s record-setting time last year and b) how miserable people really look after battling through a 100 mile bike race that starts at over 10,000 feet elevation and climbs to over 12,000 feet. Not expecting anyone to come in until at least 6.5 hours after the start of the race (Lance set a course record in 2009 at 6:28:51), there was a mad dash to the finish line about 6 hours after the start of the race when it was announced first-place was nearing the finish line. Levi Leipheimer ended up scorching the course, besting the previous record set last year by teammate and seven-time Tour de France winner Lance Armstrong. His time was more than 12 minutes ahead of Armstrong’s effort from last year, raising the bar to 6:16:37. And, as you might imagine, Levi, and the rest of the finishers looked pretty damn happy to be off their bikes at the end of the race. 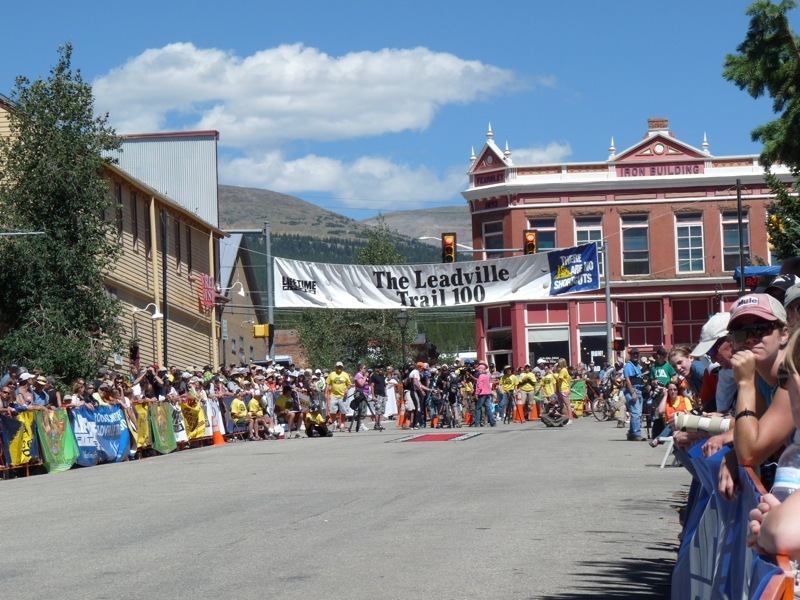 This entry was posted in Uncategorized and tagged bike races, leadville trail 100, levi lippenheimer, wizard kinetics. Bookmark the permalink.